A busy street scene in Bolton town centre. 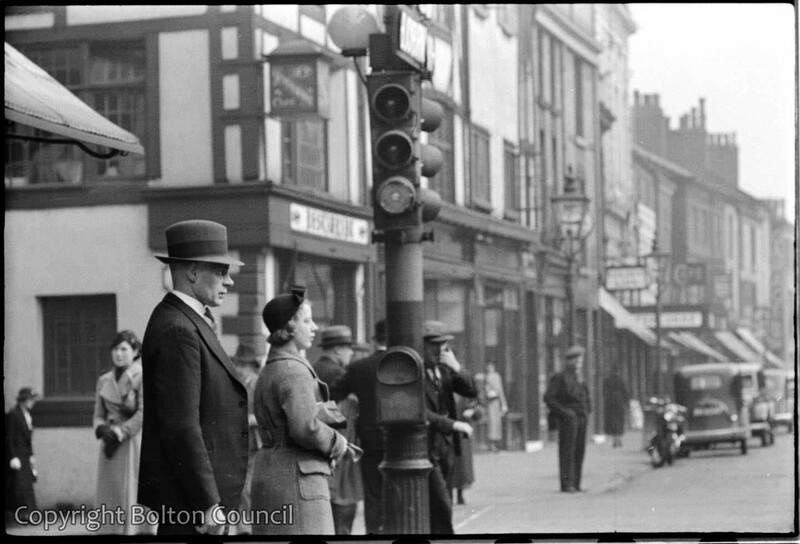 The photograph shows the corner of Bank Street and Churchgate. What wonderful pictures! My father who was born and raised in Bolton at the time covered here will be delighted to see them. Glad to hear you enjoyed looking through them. It would be interesting to hear if your father has any memories about the photographs and that time in Bolton.